This cornbread recipe is a Boston Market copycat. It tastes more like cake than cornbread, but because it’s called cornbread you can get away with eating cake with dinner! This Boston Market Cornbread copycat is a recipe I printed off the internet many years ago. Probably around the time I discovered you could print recipes off the internet. Boy was that a great discovery! I must have printed a gazillion of them. I continuously weed out my recipe collection (or I would drown in them) and this is one of the few surviving recipes from that time period (must have been the mid 90s). I absolutely love Boston Market’s cornbread. And why do I love it so much? Because it’s not really cornbread. It’s cake passed off as cornbread. Who doesn’t like cake that can be eaten with a meal instead of after? 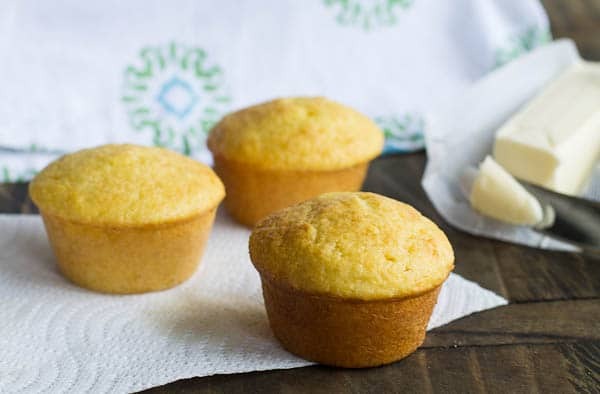 These corn muffins are super sweet, buttery, and oh so delicious! They have more similar in consistency to cake than cornbread. I love them with some super spicy Five Alarm Chili. This recipe only has 5 ingredients (plus water) so it is super easy and quick to make. It makes a huge batch, but you can freeze half of them or cut the recipe in half. This cornbread recipe is a Boston Market copycat. It tastes more like cake than cornbread, but because it's called cornbread you can get away with eating cake with dinner! Preheat oven to 350 degrees and grease 24 muffin cups or 8 mini loaf pans. Bake for 25 to 30 minutes, or until golden brown on top and toothpick inserted in center comes out clean. Allow to cool slightly before removing from pans. Recipe Source: You can find this recipe all over the internet. Not sure who the original source is. This entry was posted in Breads and Muffins and tagged Boston Market cornbread, Cornbread. Bookmark the permalink. Wow …better than BM, definitely a lil more cakey than CBready..but I’m not complaining..these r abso fab..I only had jumbo eggs, so that’s what I used, I got a huge ammt tho..36 total..I added some pumpkin pie spice to last 6..even they r yum! TY..
Oops , and I used 2 cups of half n half, no water! I make this cornbread almost every year for Thanksgiving and it’s a family favorite. I’ve tried making other cornbread recipes but I always end up coming back to this one. 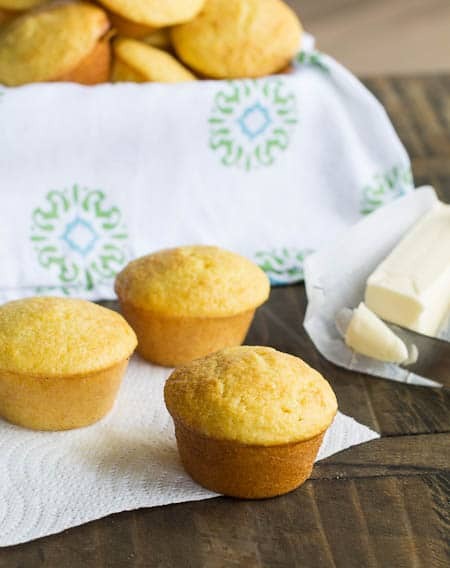 I try to avoid using box mix when I can, but you can’t beat the simplicity and sweetness of this cornbread. It’s like eating cake for breakfast/lunch/dinner 🙂 also it tastes very similar to BM! Thanks for sharing! Tastes nothing like Boston Market corn bread. But it is still good! I saw on another site, their recipe for BM corn bread used butter yellow cake. Worth a try next time. Cake in form of cornbread??? How awesome does it sound?? THese muffins look terrific, and the texture seems beautiful. I need them! I love Boston Market! I haven’t been there is so long there…that needs to change. 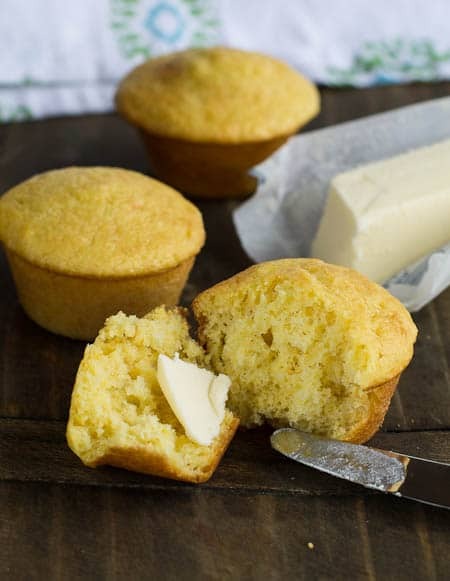 Their cornbread is super delicious so I’ll totally be trying this :)…if for no other reason than the fact that it’s made with cake mix! Isn’t corn bread just the best thing ever?! I love how it’s a little bit sweet, but not too sweet! Perfect side to chilly or a hearty soup and salad! YUM! Your recipe looks so tasty! Hope that you have a great weekend! Yes, corn bread is the best thing ever! Hope you have a great weekend too! I can’t believe it is here already. I only go to Boston Market for the cornbread, plus I just love cornbread! Wish I had some now, with a big smear of softened butter. I LOVE cornbread. This recipe sounds delicious! Thanks so much for sharing! I used to go to Boston Market a lot before my kids were born, and I always ordered the cornbread! Yours turned out perfectly, and I’ll bet it’s even better. 🙂 Have a great weekend, Christin! I love their cornbread! Thanks for sharing! Oh my goodness, I haven’t had it in over a decade but I absolutely loved it too! I will be trying this with my next soup recipe! Thank you for sharing! 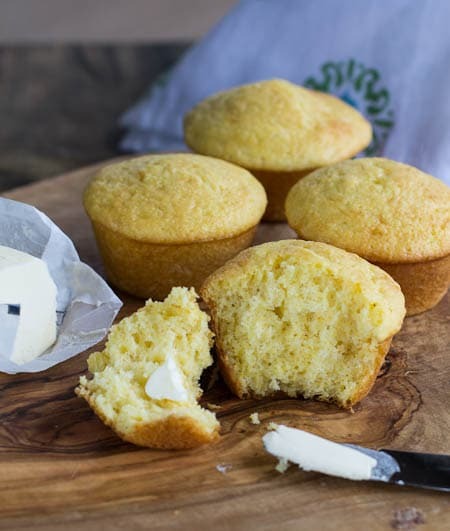 Christin, this cornbread look so perfect – I’d love to have one of these muffins for lunch with a bowl of spicy chili! I love Boston Market’s corn bread!! This looks great! Thanks for the recipe Christin! These are so light and luscious! I have to admit that I’ve never had Boston Market’s version, but I do love a sweet buttery corn bread. My mouth is watering just thinking about it! Love love love cornbread and this looks so yummy! I am a total sucker for cornbread! I’ve always loved their cornbread, mostly because it’s essentially cake. You nailed it on the head with this recipe with cake mix! I can’t wait to make this for my brother; we love Boston Market! 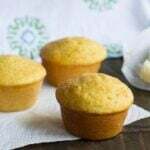 Christin, this recipe is so interesting…cake mix and corn muffin mix…the texture looks fabulous, light and airy…thanks for sharing it.